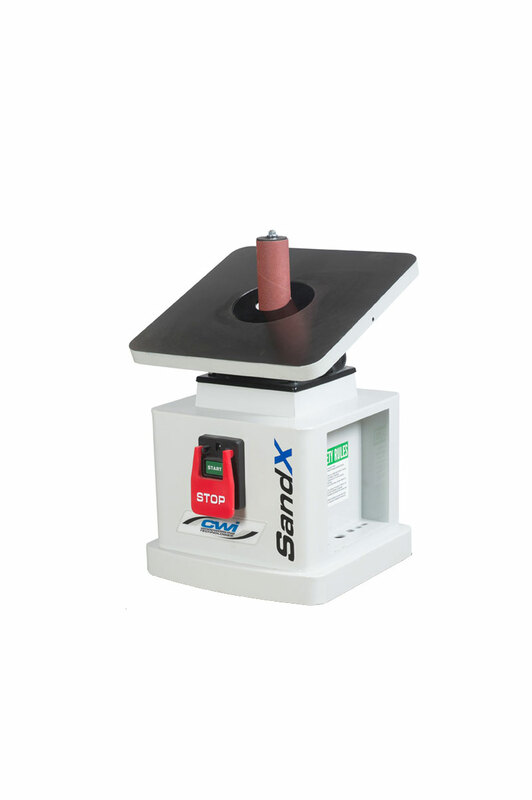 SandX produces a full range of sanding equipment for demanding hobbyists, commercial shops and educational needs. All of the SandX sanders are built with class leading features and high performance components woodworkers would expect from a high quality manufacturer. 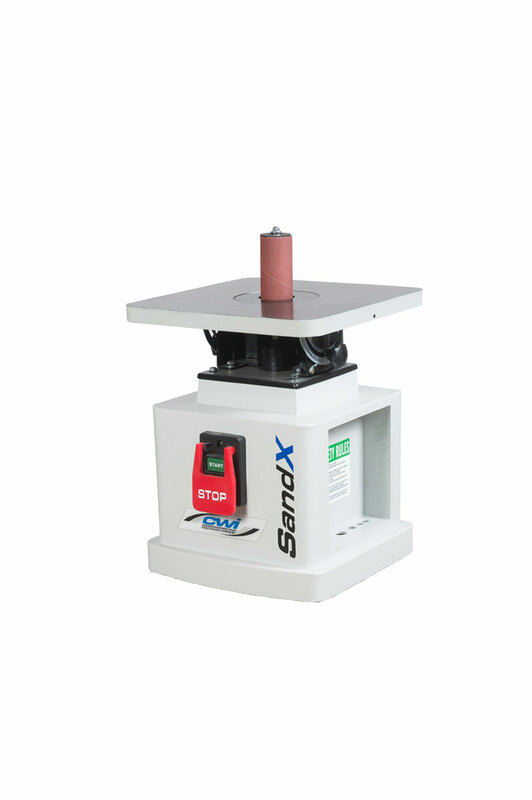 The SandX CWI-S220 bench model oscillating spindle sander is made for heavy home use, educational and industrial needs. It features a large 14.5” x 14.5” tilting cast iron table and utilizes 5 different sized sanding spindles from ¼” – 2” in diameter. 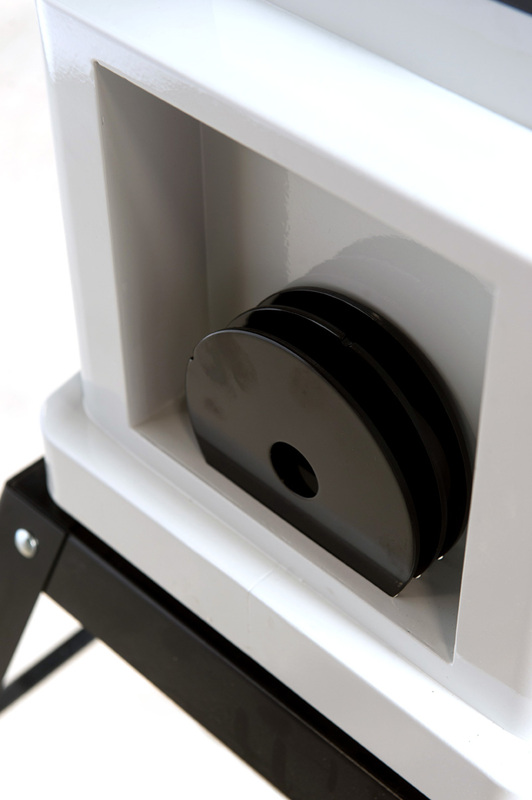 An optional 3” spindle is also available. All of the spindles are either 5.5” or 6” long. There are four interchangeable table inserts to use depending on size of spindle and the angle of the table which can tilt up to 45 degrees. The CWI-S220 utilizes a 1/2 HP 110/1/60 7.5 amp motor and a manual push button switch. The frame of the machine is a solid steel welded stand with a storage compartment to hold all 5 of the sanding spindles when not in use. 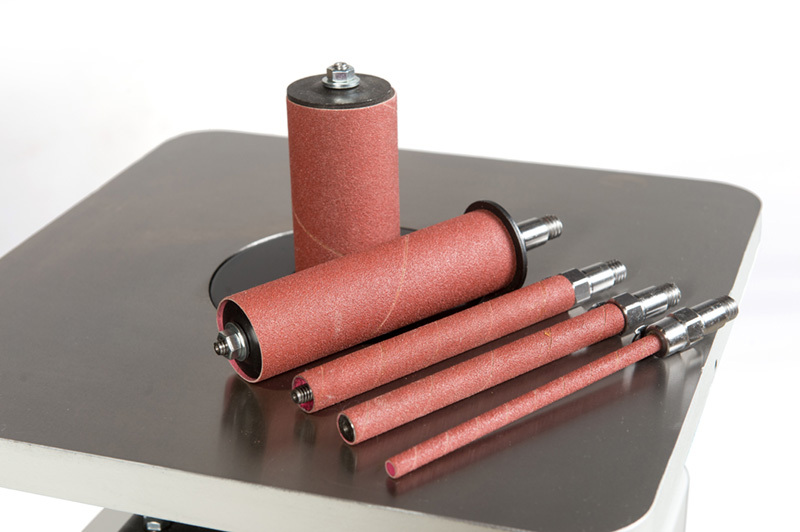 The SandX bench top oscillating spindle sander uses a 2.5” dust collection port with a 4” adaptor to be hooked to a good shopvac or small dust collector. The SandX CWI-S220 bench model oscillating spindle sander is an excellent all-purpose machine providing features and performance woodworkers will truly appreciate.